WOOOO! 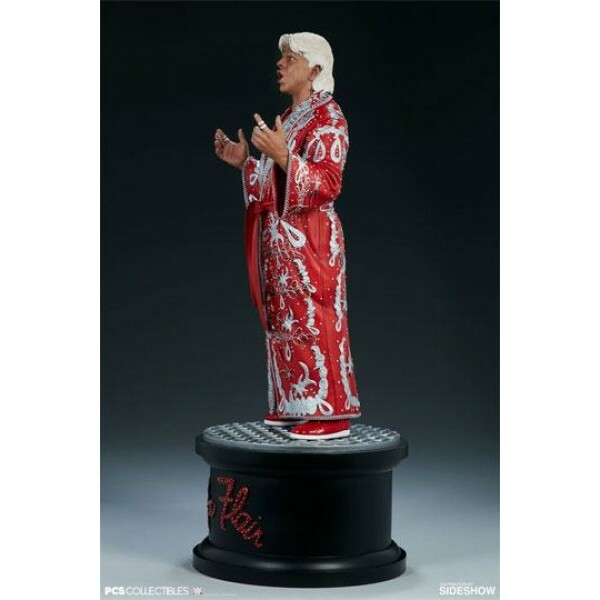 Sideshow and Pop Culture Shock Collectibles present the Ric Flair 1:4 Scale Statue, stylin' and profilin' his way into your collection. 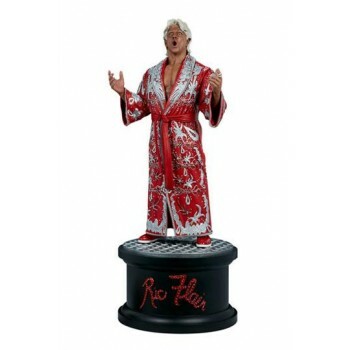 Measuring 64 cm tall, the 1:4 scale Ric Flair Statue is bursting with excitement and energy, capturing the boisterous personality of the Nature Boy himself. Ric Flair stands on a black circular base 25 cm in diameter topped with industrial-style silver flooring. 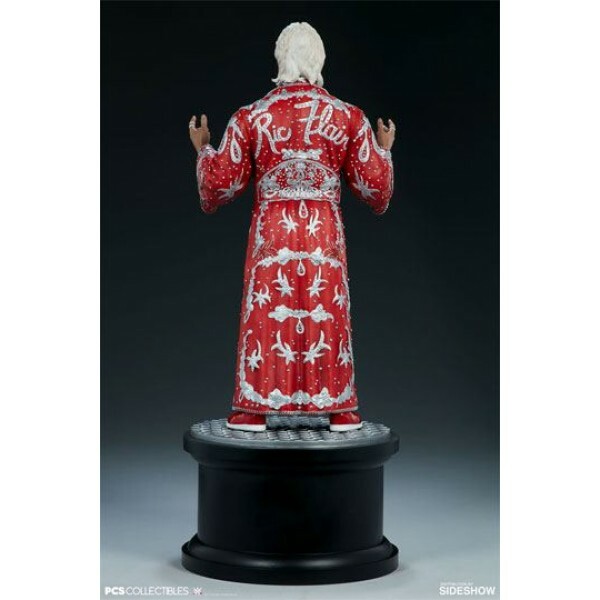 On the front of the base, his name is stylized in red script with silver accents, based on the back of his signature robes. 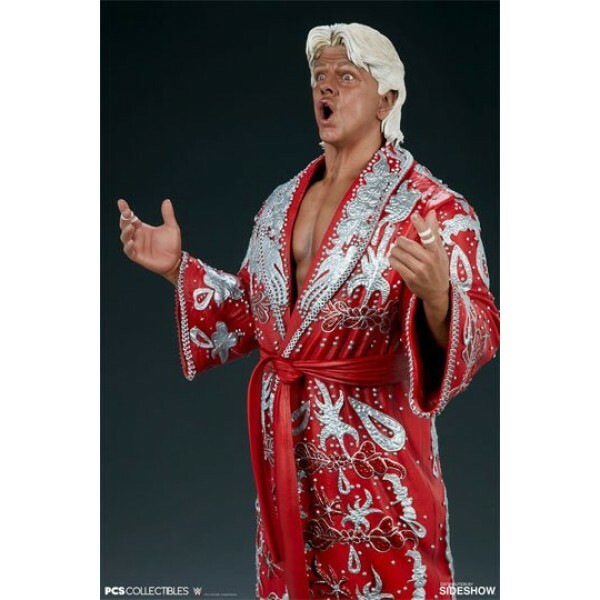 Known for his ornate robes, the Ric Flair Statue features a sculpted costume that recreates all the detail and adornments of his iconic style in a quarter-scale collectible format. 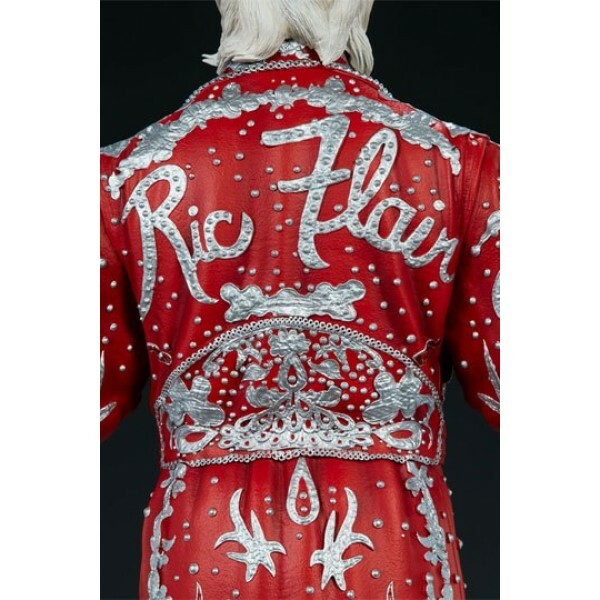 His crimson robe features silver and red accents that are as bright and loud as Ric Flair's own signature shout. 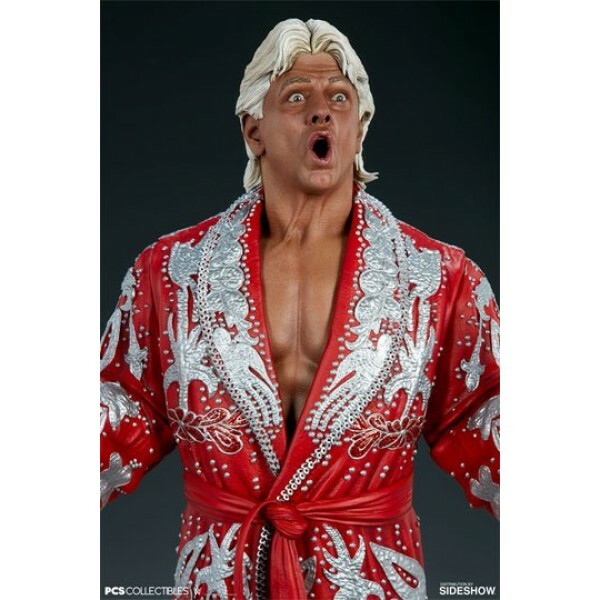 From detailed costume sculpt that captures the real flow of fabric to his expressive portrait and blonde hairstyle, one look at this incredible collectible will have you yelling, "WOO!" 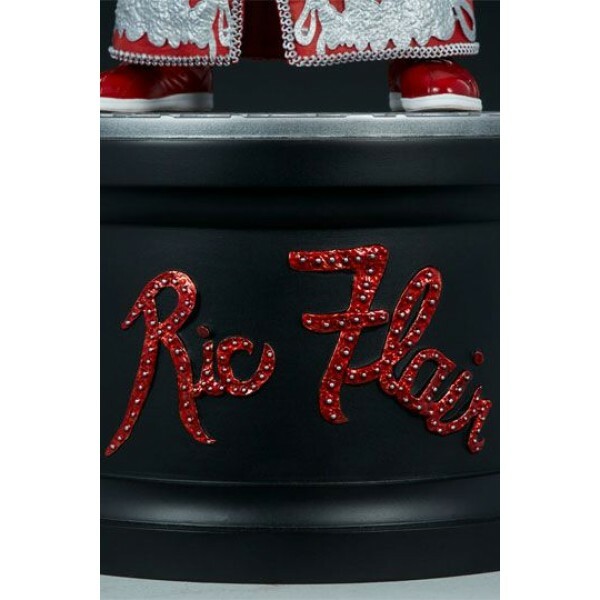 Each Ric Flair Statue from PCS Collectibles also includes an individually numbered Certificate of Authenticity, making this a must-have for wrestling fans.